Weekly announcements to help parents and students stay informed about important news and events. 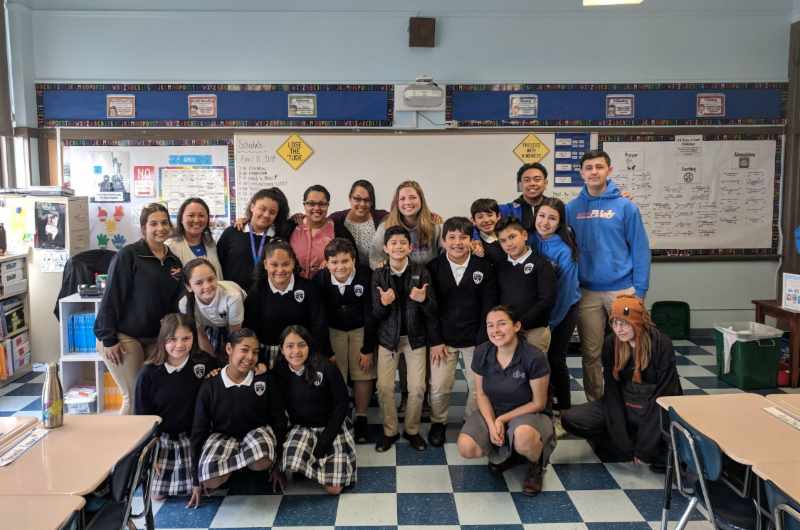 Last week, the ASL 4 class, along with their teacher Ms. Vantrease and Ms. Guevara, visited St. James Catholic School in San Francisco to teach the 5th grade class some sign language, including intro-level greetings and a church song. The 5th graders were so excited about their newly-learned signs that they taught their kindergarten reading buddies what they had learned later in the day. Great job, students! At the beginning of Lent, courtesy of our Campus Ministry department, all SJND faculty and staff received a copy of Bishop Robert Barron’s book, Lenten Gospel Reflections . The book contains the daily Gospel reading and a reflection from Bishop Barron. Throughout these five weeks of Lent, I have enjoyed taking a few minutes each day reflecting on the Gospel passage and also reading and meditating on the reflection from Bishop Barron. In a recent reflection, Bishop Barron quotes a great theologian of the past, Henri de Lubac, who spoke of sin as a “mysterious limp” or deformation or corruption. Bishop Barron goes on to add that all of us are sinners who have “bought into the lie” that we have become the “center of the universe,” “I with my needs and fears and my demands.” I don’t know about you, but these words pierced my heart and reminded me of why we celebrate the great Triduum of Holy Week, as we commemorate the passion, death, and resurrection of Jesus Christ. This Holy Week , Jesus saves me from such a narcissistic and self-centered existence, so that I may serve my family, schools, friends, and world with a self-giving love that imitates the example of the Master Teacher: Jesus himself. Have a Holy Week this week ! Here is the link for the annual Parent Online Survey - I would strongly encourage ALL Parents to complete the Online Survey by Friday, April 19, 2019 (extended) . Jackets or sweatshirts purchased from The Runway Store or Dennis Uniform. Outerwear provided by curricular or co-curricular programs such as Athletics and clubs. We have made this change in the Outerwear Policy for several reasons, but most importantly for safety reasons . As listed in the Handbook general policy on Dress Code policy, ”to ensure a safe community where all students are easily identifiable.” We take seriously the mandate to easily identify students by their dress. In the next few weeks, we will provide the many options available from the Runway Store and Dennis Uniforms, or you may already possess SJND outerwear from an athletic team or club. I thank you in advance for your understanding. We are also making sure that there are many outerwear options available to you at a reasonable cost . 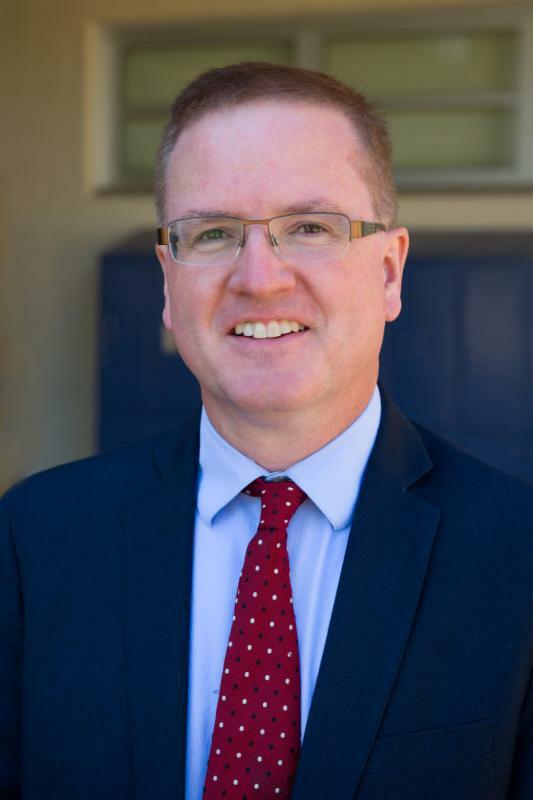 I hope that all students and parents, faculty and staff, and all members of the SJND community have a safe and wonderful Easter break with your families and friends. As always, thank you for all that you do! Go Pilots! International Student Host Family Information Night: Monday, April 29, 7:00 p.m. Pilot Preview Day and Practice HSPT: Saturday, May 4, 8:30 a.m.
You will receive the online form on April 29. Reminder: There will be no classes April 18-26. DUE TODAY! Parents Association Service Scholarship: Any SJND student who has demonstrated a commitment to service is invited to apply for the SJND Parents Association Service Scholarship. Scholarship winners may earn up to $1,000. Submissions are due today, April 15. Apply now! Pilot Welcome Night Dessert Donations: Help welcome the Class of 2023 at Pilot Welcome Night by donating desserts for their welcome dinner. All types of desserts are welcome. Please drop them off at the main office tomorrow, April 16, specifying it is for Pilot Welcome Night. Thank you for your support! 18-19 Parent Survey: Please take a moment to complete the SJND Parent Survey for the 2018-2019 school year. Parents who complete the survey may enter a raffle to win a Sylvan Learning package that includes an initial diagnostic assessment, registration, and 4 hours of instructions ($422 value - expires 8/31/19). As always, we appreciate your feedback! You and your student (and family) can make a difference by helping with the East Bay Regional Park District's Earth Day event on Saturday, April 20 from 8:30 a.m. - 12:30 p.m. at the Martin Luther King Jr. Regional Shoreline on Doolittle Drive (between Alameda and the Airport). If interested in serving with the SJND Parent Association, please sign up via the link below. If you are unable to join us at MLK Regional Shoreline, there are Earth Day event sites at Point Pinole Regional Shoreline in Richmond and at Sibley Volcanic Regional Preserve on the same day. We can make a difference all over the East Bay! If you want to volunteer at another site, please click here to reserve your space or call 1.888.327.2757. Save the Date - Host Family Information Night: Interested in learning more about becoming a host family to a SJND international student? Please join SJND and our partners at the Cambridge Network for a Host Family Information Night on Monday, April 29 at 7:00 p.m. at SJND (exact location TBA). Interested members of the local community are also invited to attend. Please RSVP to Gabi Lippi at glippi@sjnd.org so we can plan accordingly. IMPORTANT: No student may miss semester exams due to a family vacation or other unexcused absence. A student may request to reschedule a final exam only for a medical emergency verified by a doctor's note, or an extraordinary family emergency such as a death in the family. All other requests to reschedule final exams will be denied. 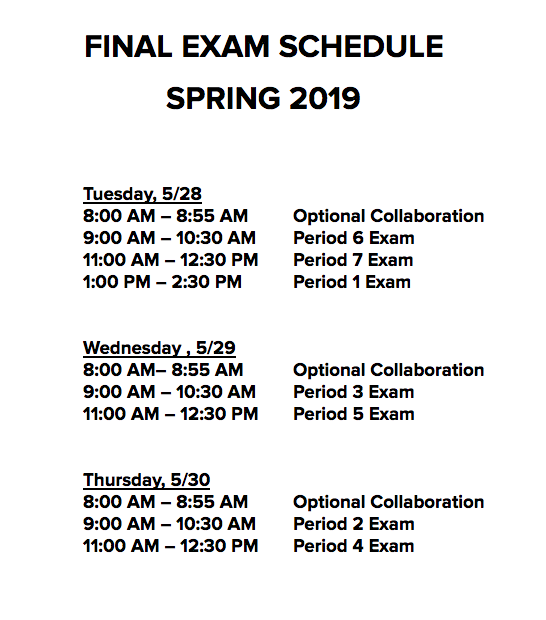 If a student misses a final exam due to an unexcused absence, the student will receive academic consequences on the exam as well as disciplinary consequences (Student/Parent Handbook, Pg. 15). During collaboration on April 17th, we will offer our final Health and Wellness Series of the year. There will be a session on Stress & Anxiety Management and another on How to Help a Friend in Need. Senior Parents: The Santone Scholarship for College Success application is due May 2. Seniors can access the application and details on Naviance. In addition, please RSVP for the Transitions to College program on May 1 at 7:00 p.m. For more information and to sign up, please click here. 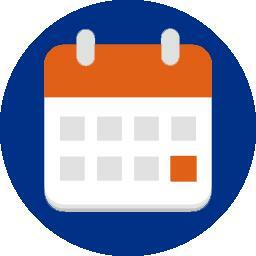 Check out local information sessions and college fairs for prospective students here. 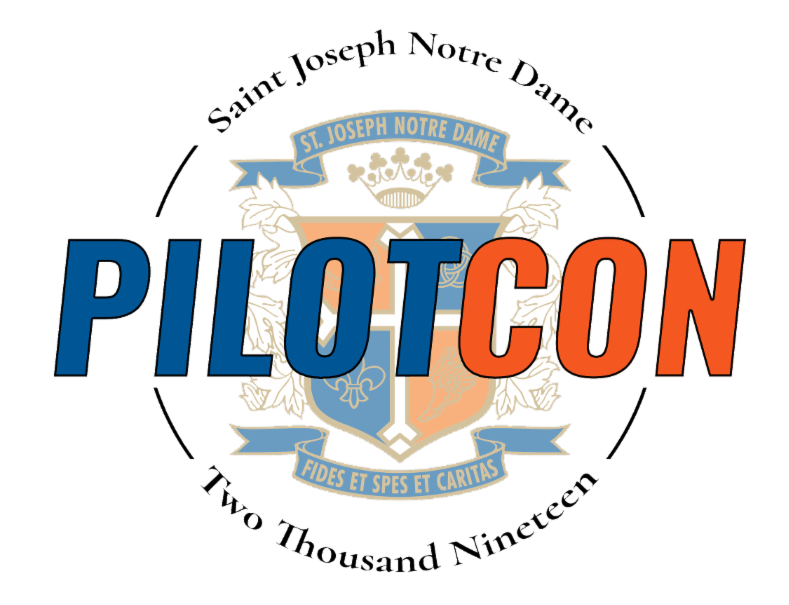 PilotCon is a high-energy conference for SJND students offering a dynamic workshop series which combines personal and professional development with reflection and goal-setting. This immersive environment will give students an accelerated start to success in life beyond high school by learning from and networking with professionals in a variety of industries. PilotCon will help Pilots ignite, innovate and integrate their passions into real world opportunities. Open to all SJND students, including incoming freshmen. Registration is $75 when you register by May 24 and includes lunch and four workshop sessions. Looking for summer activities for children entering grades 3-9? 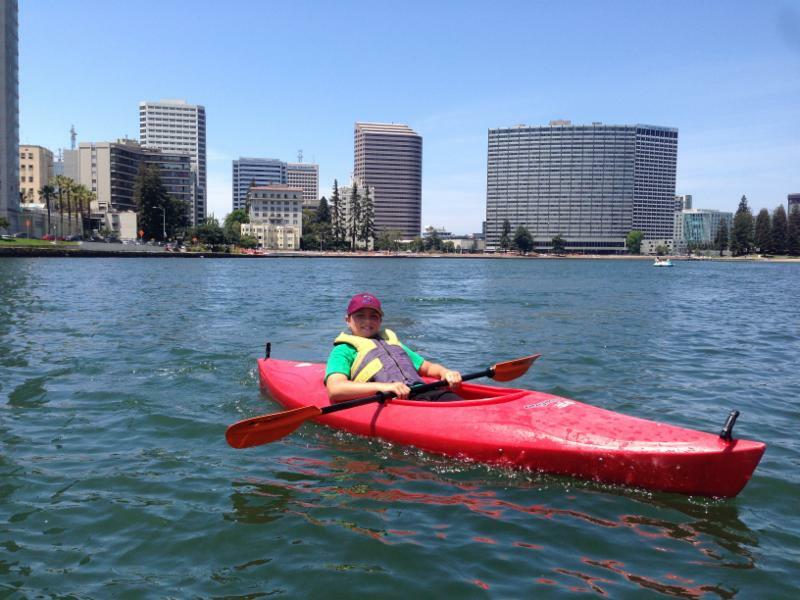 Registration for SJND Summer Discovery and Summer Academics are now open! 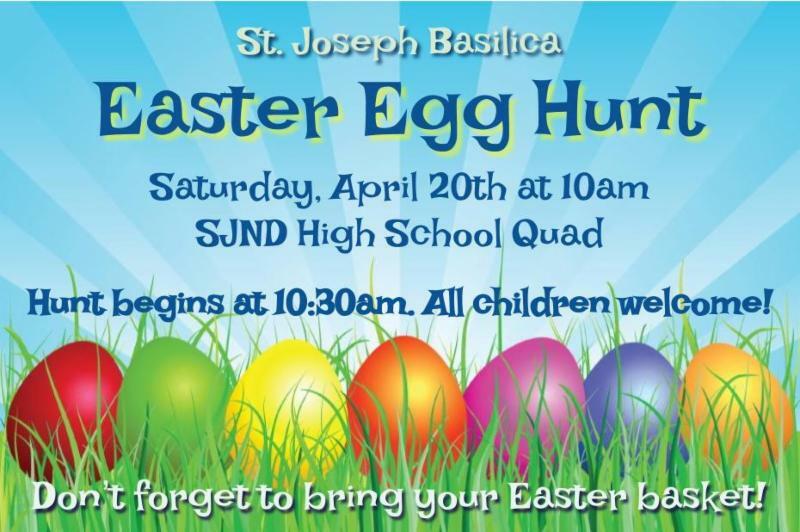 Keep up with our neighbors at SJES and St. Joseph Basilica. Click here to view the Elementary School newsletter.